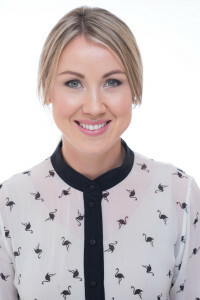 Deanna (Dee) is a naturopathic practitioner who specialises in nutritional medicine and prides herself on providing a warm, supportive and responsive service. In 2005 Dee graduated with a degree in Health Sciences from the Endeavour of Natural Health where she lived for six years before moving back to New Zealand. Dee believes passionately in the practice of integrative medicine. As such, Dee’s approach to wellness incorporates traditional diagnostic tools (such as iridology and tongue analysis) as well as more modern techniques, such as blood tests, bioimpedance and other such assessment tools. A range of practitioner-only supplements may be recommended including Metagenics, Thorne, Metabolic Maintenance, Bioceuticals, Flordis, MediHerb, Orthoplex, Dr Veras, Eagle and PhytoMed. Dee uses several social media platforms to share a wealth of knowledge – from Instragram videos cooking in the kitchen with her young children to articles published in the Otago Daily Times shared on her Facebook.